Friday, June 26, 2014 • 7:00 p.m.
languages and then in English translation. HoCoPoLitSo, in partnership with the Columbia Festival of the Arts and the Columbia Association, presents the World Poetry Party. On Friday, June 26, 7 p.m., come to the Studio Theatre in the Horowitz Performing Arts Center, Howard Community College, for a celebration of global verse. Poems in Spanish, Korean, American Sign Language, Italian, Polish, and Bulgarian will be performed in the readers’ native language and then in English. This free event is part of the June Columbia Festival of the Arts. Readers young and old from around the world will perform their own work, or the work of poets famous in their native languages. Bulgarian poet and journalist Lyubomir Nikolov will be the master of ceremonies. Nikolov has published three poetry collections in Bulgarian; Summoned by the High Tide (Sofia, 1981), Traveller (Sofia, 1987), and Raven (Sofia, 1995). 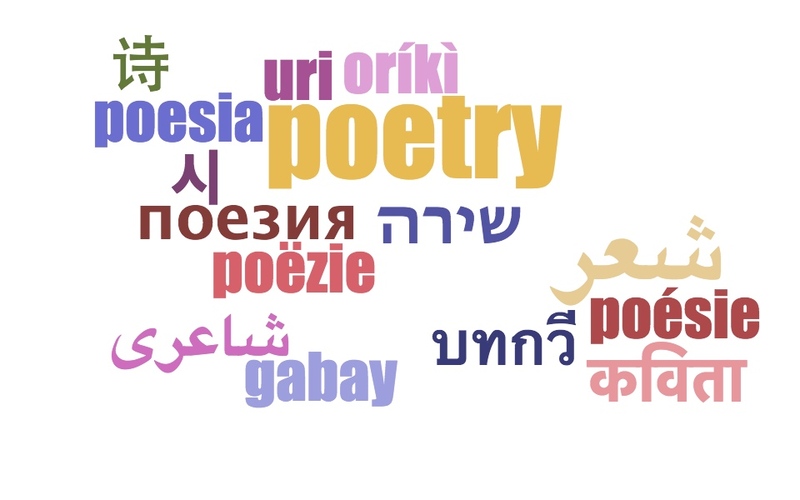 If you have poetry for consideration, please submit poems and a brief biography (50 words or fewer) to hocopolitso@yahoo.com no later than June 10. By hocopolitso in Uncategorized on June 8, 2015 .